I love making my own dressings for salads at home. Watch my video below and you’ll see how easy it is! I kept this recipe as simple as possible but really, the sky is the limit with all the things you could add to it. I’ll give you some ideas at the end of the recipe! 1) Whisk the vinegar and mustard together until homogenous. 2) Continue whisking, and slowly add the olive oil in, a bit at a time. 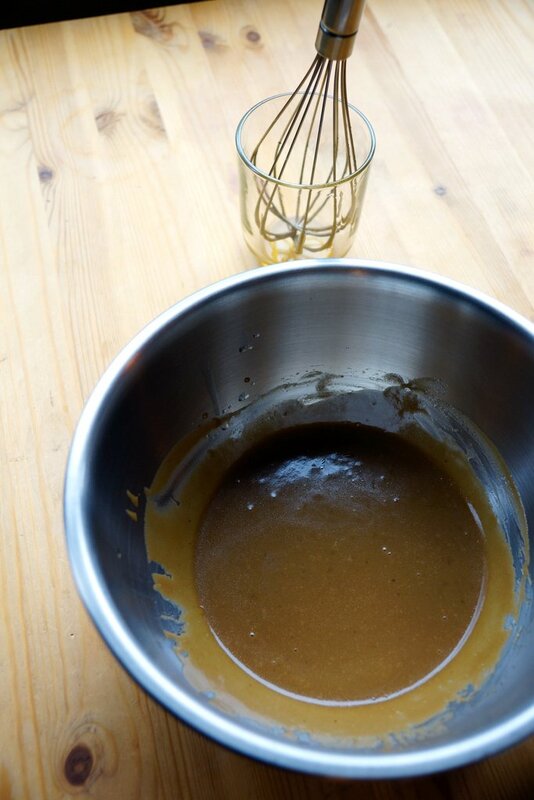 Whisk vigorously to combine and emulsify until all oil has been added. Adjust the seasoning with salt and pepper to your own taste. I like adding minced garlic sometimes, herbs like parsley, thyme or cilantro, spices like cumin or smoked paprika, or even something to sweeten it like honey or maple syrup. The world is your oyster…when it comes to salad dressings?